Located in the heart of Bloomsbury, Central London, Cartwright Gardens is a development of high quality, affordable student accommodation. 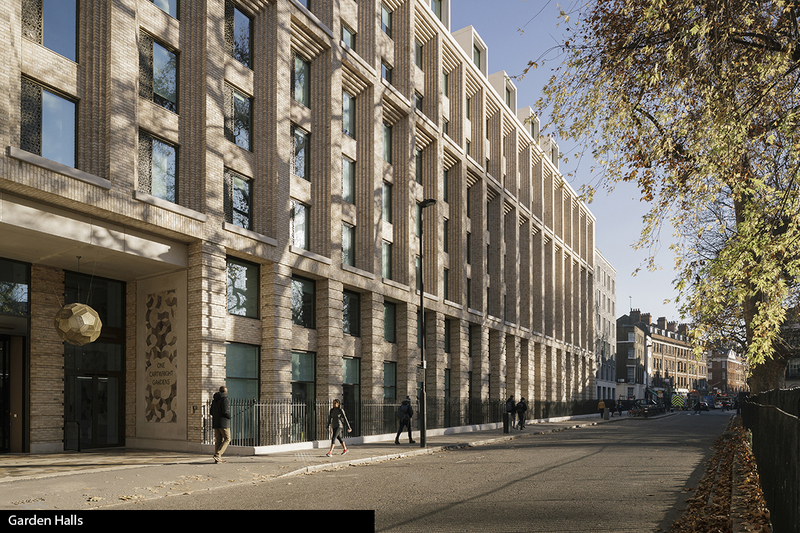 Maccreanor Lavington worked alongside Executive Architects, TP Bennett, and precast supplier Thorp, to design the new principal nine-storey façade facing Cartwright Gardens and a lower seven-storey building at the corner of the historically sensitive and challenging site. 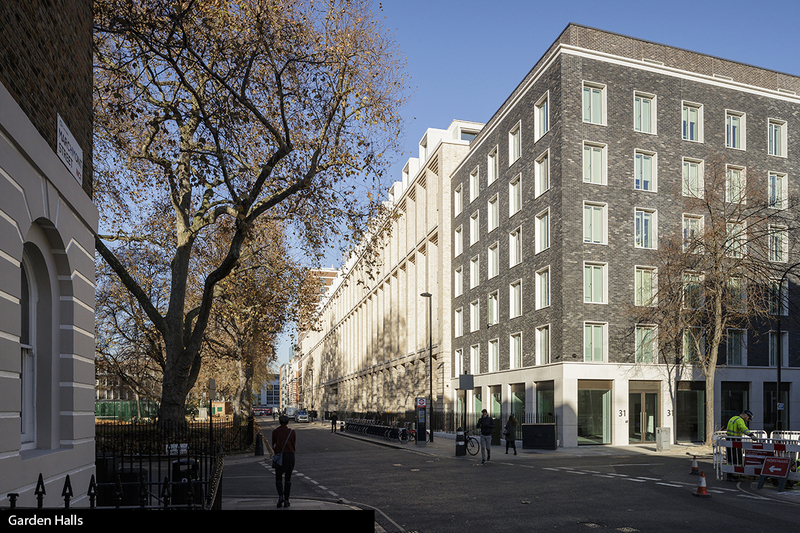 The new student halls replaces the former 1930’s and 1950’s buildings to accommodate 1,200 student rooms, making it one of the largest student halls of residence in London. The main brick-clad facade has all the architectural integrity and beauty of a hand-set masonry building built by craftsmen but constructed from precast concrete panels. 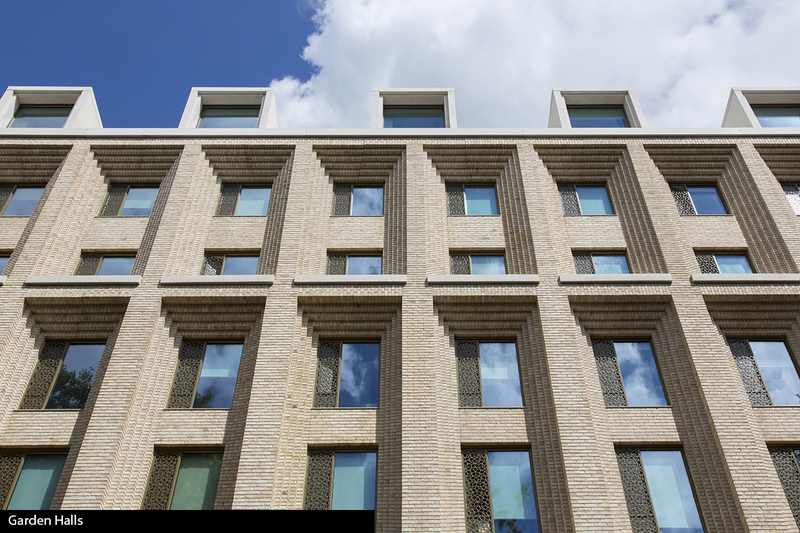 There are over a thousand precast panels incorporating four brick types across the entire scheme, some elements incorporate complex corbelling and span two-storeys high. Text and images taken from 'Garden Halls' article, (page 12) Concrete Quarterly, Spring 2018.